Here at Aim Dental Group, we are proud to use the industry-leading CEREC in all of our dental practices. CEREC is a state-of-the-art CAD/CAM system that lets patients have an all-ceramic restoration in one single appointment. This means that patients have a more comfortable and easier experience when having a dental crown, inlay/onlay, bridge or veneer. When using the CEREC CAD/CAM, it is not necessary for patients to have a dental impression made. Instead, the camera takes a few images of the tooth, and a strong, aesthetic restoration is made in under 15 minutes. After almost thirty years of successful continuous development, the CEREC CAD/CAM system is now the most-used dental CAD/CAM system worldwide – around 38,000 dentists use the CEREC method. More than 250 scientific studies have documented its clinical security, and proven a long-term survival rate of 95%. 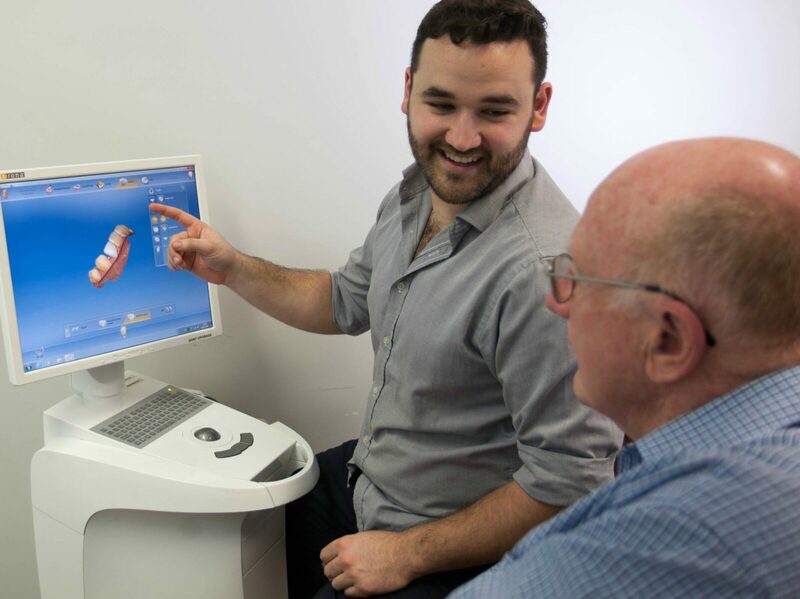 If you want to book in a CEREC dental operation in our practice, you will need to book in for an initial consultation. At this appointment, your tooth will be prepped and, with an intraoral digital impression, corresponding designing software and milling machine, a full porcelain restoration is made and inserted. If you require a more complicated restoration (such as a bridge) we can send the data in a digital file to our specialist dental laboratory via an online portal. The lab will design and manufacture the restoration according to our prescription and then send the finished restorations back to our office. We produce over 1500 CEREC ceramics a year! – Call us today to find out more.